We’d love your help. 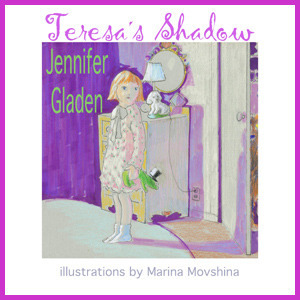 Let us know what’s wrong with this preview of Teresa's Shadow by Jennifer Gladen. One night at bedtime Teresa discovers Corky, a furry visitor, in her room. Corky is no ordinary monster. In fact he seems just as scared as Teresa. Teresa soon realizes she must help Corky get home. But how can she when she's afraid of the dark and Corky is afraid of the light? To ask other readers questions about Teresa's Shadow, please sign up. Love, love, love this picture book! Every child once in a while expresses a fear at bedtime. Some fear the dark. Some fear the possibilities of monsters. Some, fear both! “You shouldn't greet monsters that way. It's scary."